Hi there! How’s your week going? 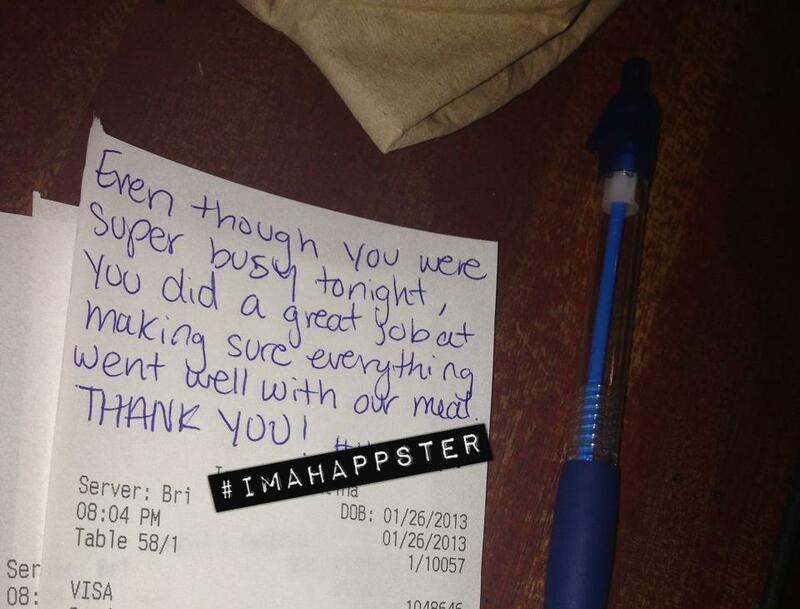 I’ve decided to start a weekly column called “Awesome Things Thursday”. It’s pretty much exactly what it sounds like. It will include things I’m loving and finding awesome this week. Hope you enjoy! 1. 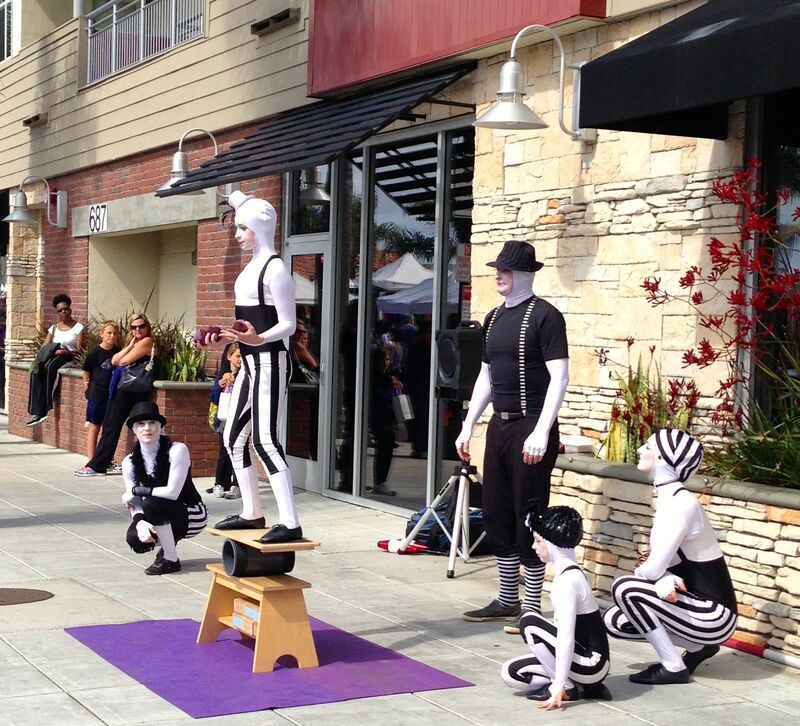 The Encinitas street fair with huge strawberries, to die for cookies like the Churro & Chocolate Covered Mint cookies from the Cravory, a juggling family performance, and a raffle ticket to win a car (fingers crossed!). 2. The most epic mother-son wedding dance you’ll ever see. 3. 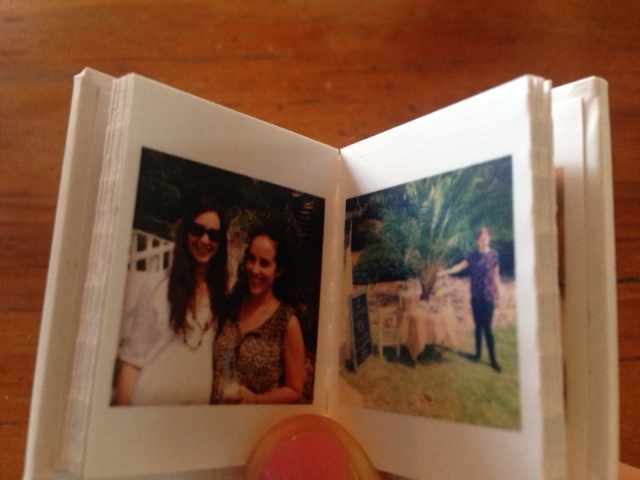 This tiny book I ordered that includes pictures from my birthday party. It’s really tiny, but I still love it! 4. No-bake energy bites like these. 5. Finally updating my phone to the new iOS so I can download new apps. I just downloaded a meditation app called “Stop, Breathe & Think” as suggested by Katy. Excited to start using it! 6. 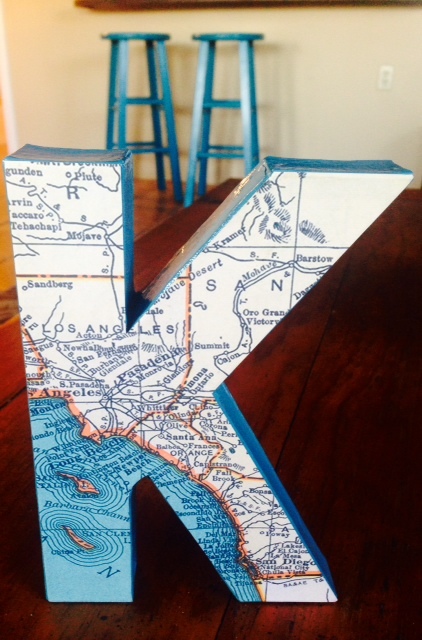 This “K” map I got from my friend, Shelley as a birthday present! You can see it on Etsy here. 7. This article – 35 Things to do Instead of Spending Money. I’m off to work and Zumba! What are you loving this week? Let me know in the comments! A few months ago I posted about the “Top Foods That Make You Happy” and highlighted mood-boosting foods like salmon, chocolate, bananas, eggs, beans, mushrooms, asparagus, and nuts. I thought a great follow-up to that post would be to highlight a few recipes that include some of these happy foods! 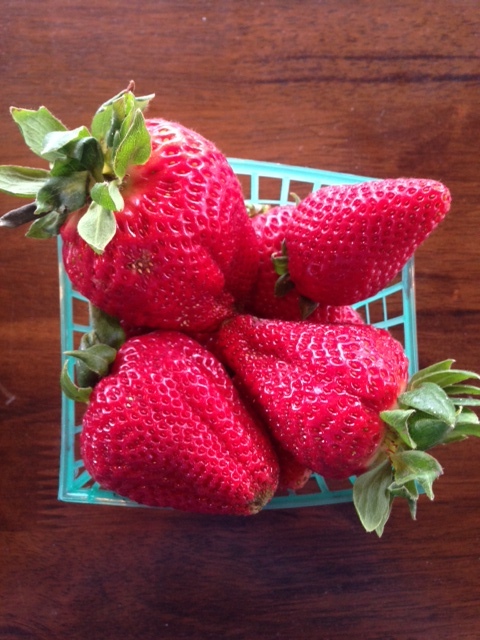 Here are 4 delicious recipes from my friend and fellow blogger, Lindsay from Weeknight Bite. 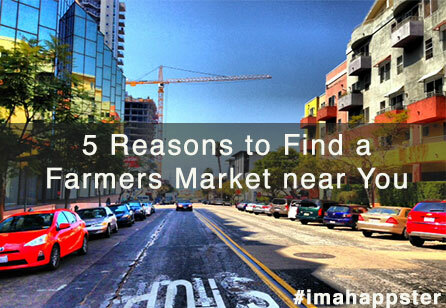 Do you have a farmers market close to you? I hope so! 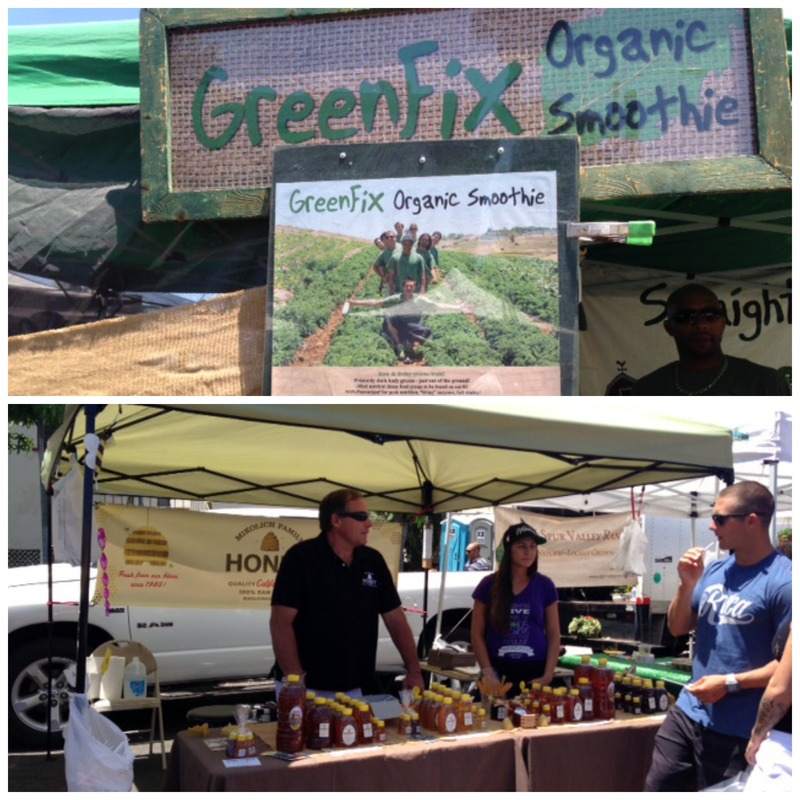 Farmers Markets are not only fun, they are also a great way to support your local farmers. The fruits and vegetables that you buy are sold directly to you without any need for shipping or sitting in storage. In addition to being fresh, a study for the Northeast Organic Farming Association of Vermont found that prices were lower for many conventionally produced grocery items at farmers markets than they were at supermarkets. 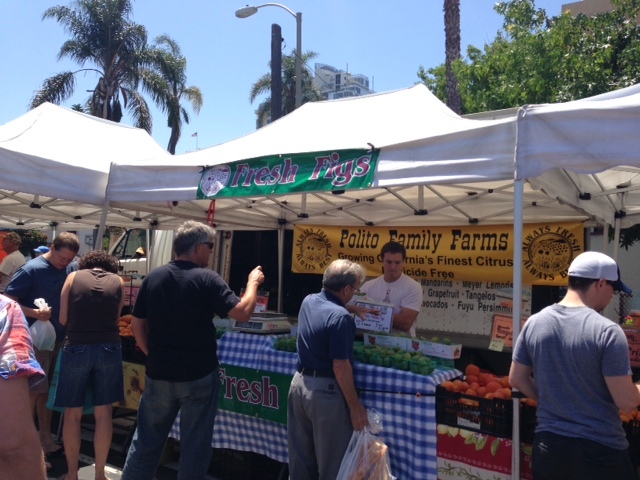 Often times the farmers and artisans selling food at the farmers market are happy to teach you about how to best cook their food. 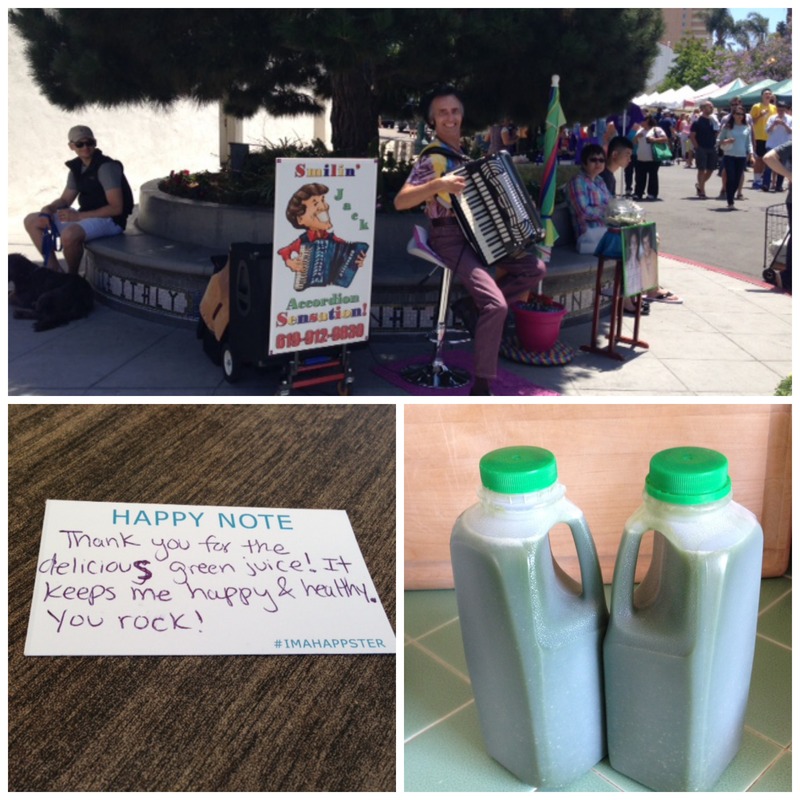 There are so many people shopping and hanging around that it’s easy to strike up a conversation or even hand out a happy note. Sometimes there is even musical entertainment like this “Smiling Accordion Sensation”. Did you know that certain foods can actually have an effect on your mood? 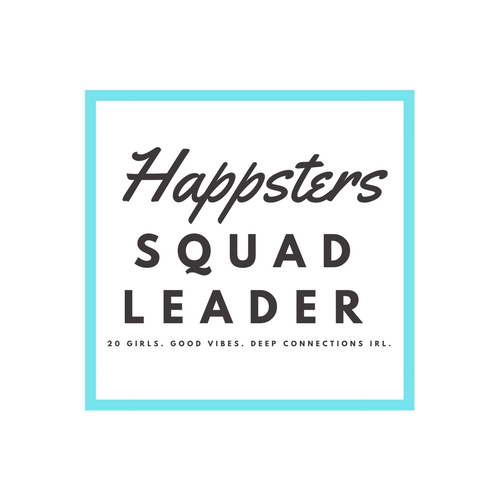 I didn’t until recently when I was trying to think of what to give out at our first Happster meet up. I wanted to give something that people would not just enjoy eating, but also positively affects their mood. I don’t know about you, but I was particularly happy to see chocolate on the list of happy foods! I’m just scratching the surface with mood-boosting foods and am sure there is a much longer list than I’ve provided here. 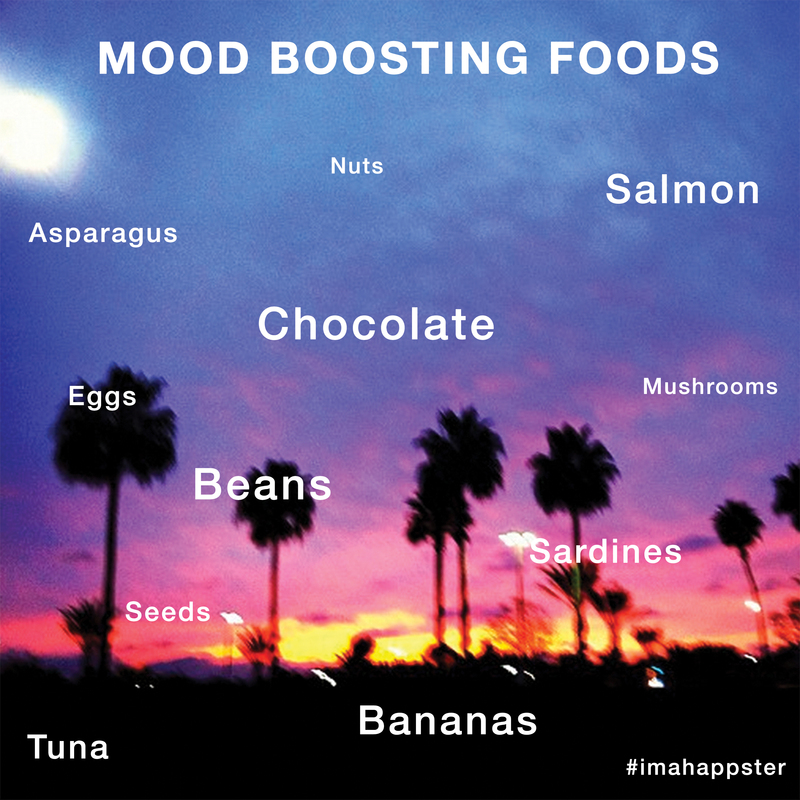 Are there any foods that boost your mood?